Employee attendance tracking — always knowing who is absent, how often and why — can help you spot troubling patterns and address an employee time and attendance problem early. 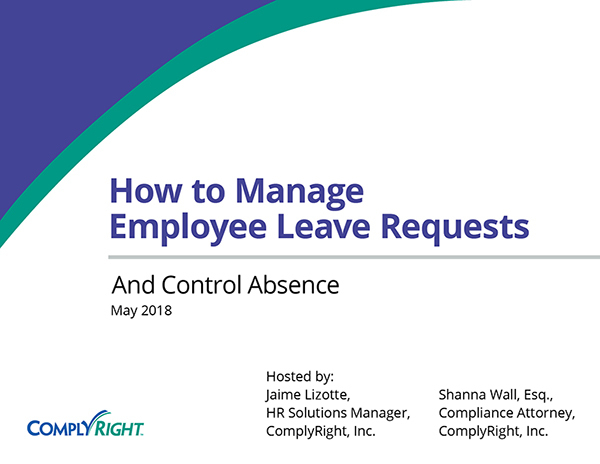 And should a dispute occur, whether it’s about wages, a disciplinary action or termination, the written (or electronic) records of employee absences will serve as critical evidence to justify your business decisions. A well-developed attendance policy should set clear expectations for employees and get them on the same page with management. 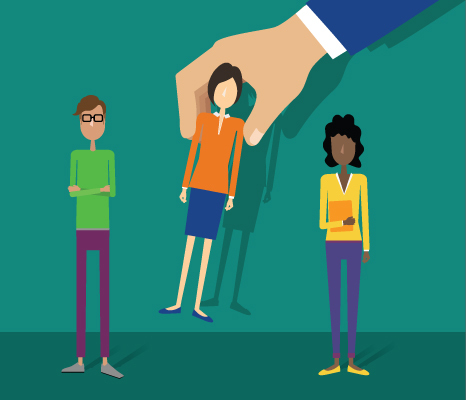 Here are some key steps to effectively implement and enforce an employee attendance policy. Put everything in writing. Your employee attendance policy must be communicated to all employees so that it can be enforced. The policy, along with the tools you use to track employee attendance should be described in writing and included in the employee handbook. Make sure they understand the tools. If employee time clock systems are to be used, instruction should be provided on the first day to make sure the employee knows how and where to check in and out. If attendance tracking cards or employee time sheets are used, make sure new employees know where to find them, and what information is required. Apply to same employee attendance rules to everyone. It’s important to apply your policy consistently. Employers may be courting discrimination lawsuits if they only discipline some employees for poor attendance. Spell out the consequences. A formal, written employee attendance policy lets employees know when chronic lateness and absenteeism are cause for discipline, and should clearly state how many absences or instances of lateness are acceptable. Make sure you understand the law. Your employee attendance policy must comply with the Fair Labor Standards Act (FLSA), which governs minimum wage requirements, overtime, timekeeping practices, child labor laws, and other pay-related issues. Companies — as well as individual managers — can be held liable for FLSA violations. Employee attendance tracking — always knowing who is absent, how often and why — can help you spot troubling patterns and address an employee time and attendance problem early. Using the right tool can make a big difference in how you track time and attendance. Electronic attendance tracking provides the same features as paper calendars or spreadsheets, but with modern advantages that improve ease-of-use and effectiveness. The web-based Attendance Calendar app from HRdirect helps you maintain accurate records and quickly identify troubling attendance patterns – all in one convenient, online view. It uses a simple system of codes, just like a paper calendar, to indicate the reasons for excused and unexcused absences. By logging missed days and other absences, employers can easily spot when a worker’s absences are becoming excessive. Days with absences are shaded, allowing for quick detection of problematic attendance patterns (e.g., employees frequently calling in sick after holidays). The app also provides a convenient, one-page view of attendance records for the entire year. 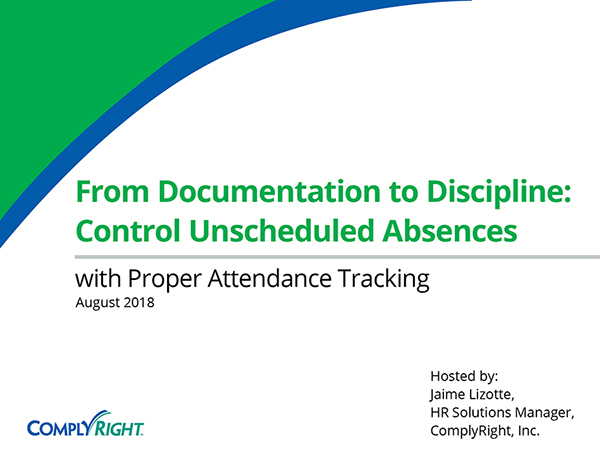 With this attendance-related documentation at your fingertips, you can stay a step ahead of unscheduled absenteeism and employee tardiness, as well as monitor legally protected time off. The app also makes it easy to compare the attendance of team members, document warnings, and download and print back-up or blank copies. 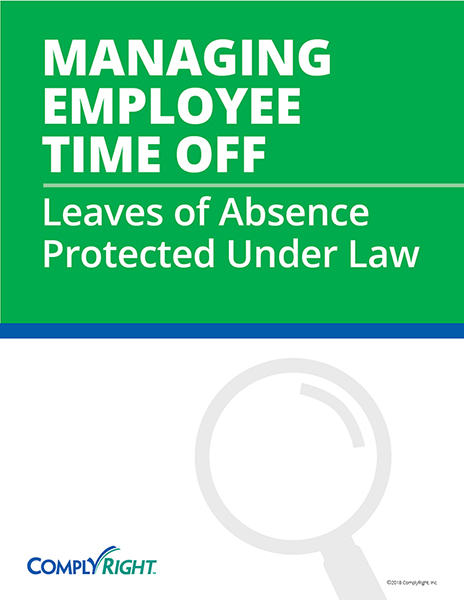 If all indications show a problem with employee absenteeism for reasons that are not legally protected or otherwise excused, the next step is to address the situation through counseling or formal discipline. For an employee time and attendance problem that recurs despite verbal counseling, consider preparing a formal disciplinary write-up that will go into the employee’s personnel file. Depending on your company’s employee attendance policy, you may issue a series of written employee warning notices as the problem escalates, or you may decide termination is appropriate after a single written warning if the employee shows no effort toward improvement. Managing workplace attendance is an important part of your company’s operations. With a consistent companywide policy and the right attendance-tracking tool, you’ll be better equipped to address employee absenteeism.